"For us, a small liberal arts college, DSpaceDirect offered a triple opportunity: a solution for establishing a digital repository and an archive delivered in a true turnkey, all tech support provided package with extremely competitive pricing as a bonus. We were up and running right away. It has been a really great experience." "DSpaceDirect's easy start-up process, customization options and support confirmed that we had made the right choice." "DSpaceDirect has made it possible for smaller academic libraries, like Spring Arbor's White Library, to provide online digital repositories to promote faculty publications and student research." "The process was straightforward and we received very good support from the DSpaceDirect Team. It was clear what we needed to supply because a single email listed all the details that we need to supply, in order to get the service up and running. 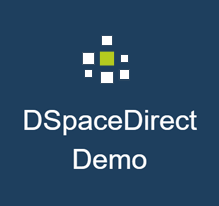 A bonus is that DSpaceDirect runs the latest version of DSpace – no in-house upgrades necessary." "Most solutions we looked at were designed for institutions with substantially greater funding - beyond anything NCAC CALiO™ could afford... With DSpaceDirect we have an easy-to-use, affordable way to provide full text access to our national and global users." We will respond to your quote request within the next few business days.